Attended our branch’s meeting this morning followed by a Leader’s Lunch after. So happy and proud that our 1 month old unit is the top unit for February for Amber branch! We also had a high activity ratio with 6 out of 9 of us producing. 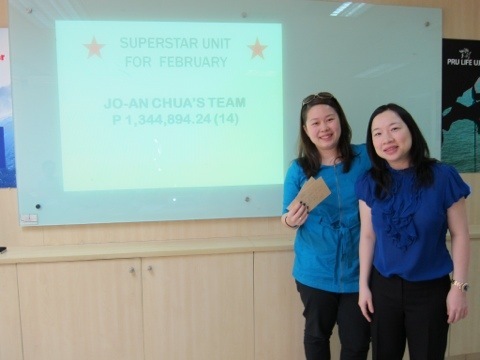 One goal crossed off – become a top unit in the branch. 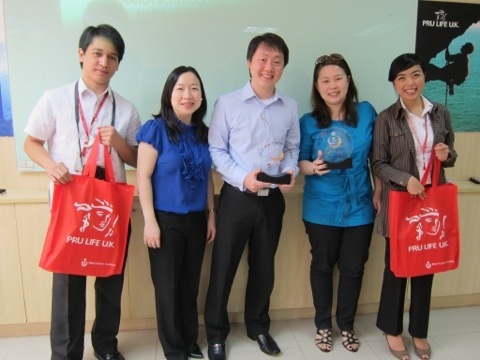 In addition, I was awarded to become a Pru Guardian. As a guardian, we are tasked to take care of orphaned accounts.